Car Rental Solutions develops custom designed websites, web-based integrated reservation and management system for independent car rental agencies. Now both your car rental business and your website can run smoothly, by accepting online reservations and managing your entire fleet, all from one single control panel. 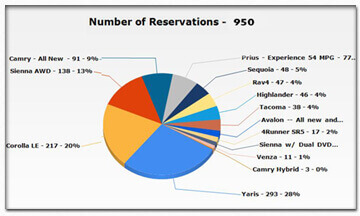 By offering a highly-customizable booking system and software, your customers will be able to get exact quotes, see vehicle availability, and make online reservations from your website, with just a few clicks. This system is user-friendly fast and easy to use and structured to the specific needs for an independent car and van rental agencies at affordable prices. As needs change, agencies are guaranteed continuous support, improvements, and upgrades. Check control panel main features. Our system can be use for Cars, Motorcycles, Boats, Trailers, Bikes, Scooters. © 2019 Car Rental Solutions - Online Car Rental Reservation System - Software.